the smell will grow on you! i am glad to hear you like it and it lasts a looong time! 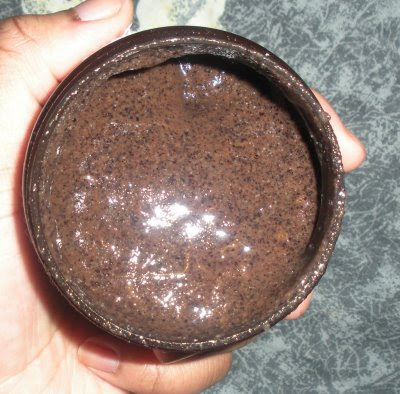 !I had to finish mine as a body scrub b/c i had for almost a year and since it is made fresh, i needed to use it up asap. It looks like it gets the job done! I'm still working on a scrub from a year ago. I sooo can't remember the name. right now im using queen helene mint jelup scrub. it's cheap and gets the job done so im not complaining but im still open to new products. Antithesis I remember using that a long time ago but I really can't recall if I liked it or not. Glad it's working for you though. Right now I'm using Ambi for my face and Sabon Lavender Apple for my body, but I'm open to others.